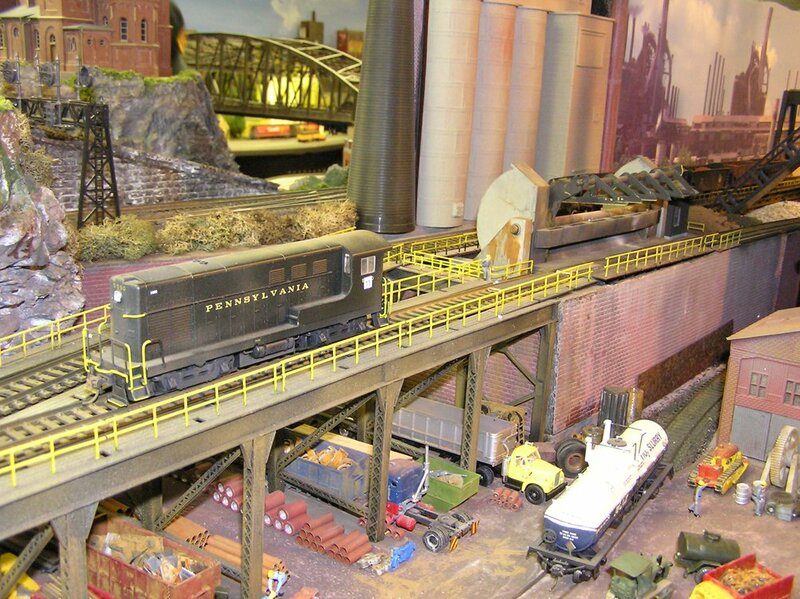 PRR 1965 New York to Pittsburgh; diesel and electric, catenary on over half, operating coal loader and rotary coal dumpers, steel mill, ocean-going vessels with harbor, and let’s not forget Horseshoe Curve. 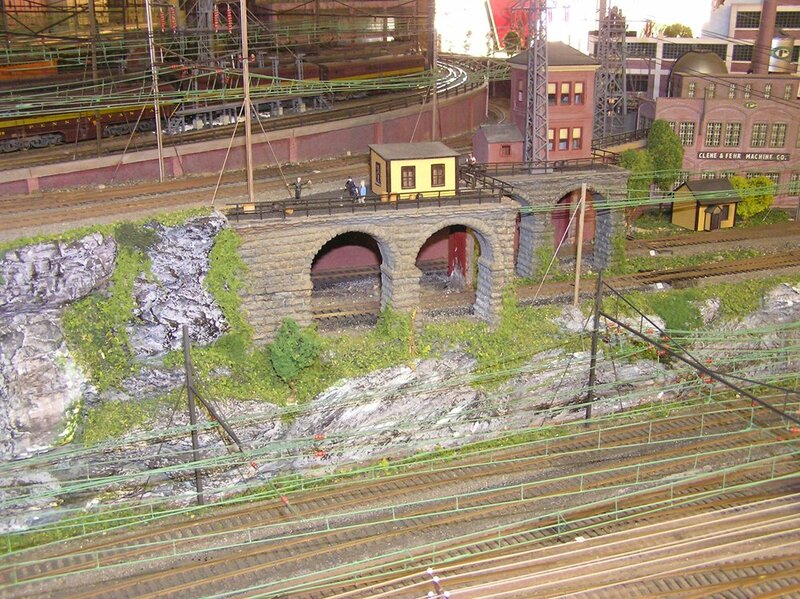 Layout built to recreate the mighty PRR in its glory days. 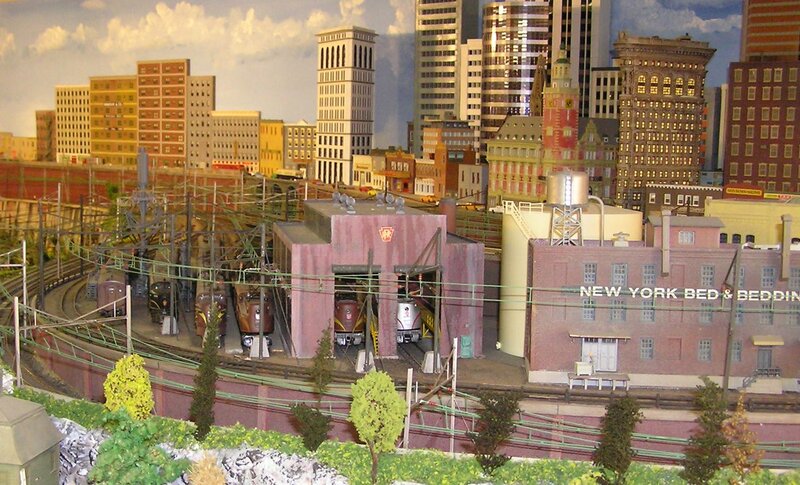 Also includes the Hell Gate Bridge, and the Zoo Interlocking in Philadelphia. 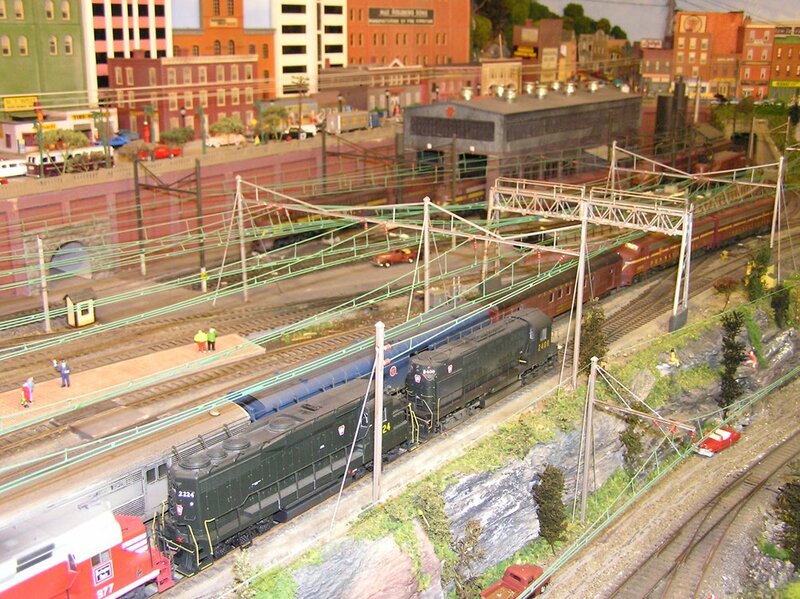 Around the wall with access areas. 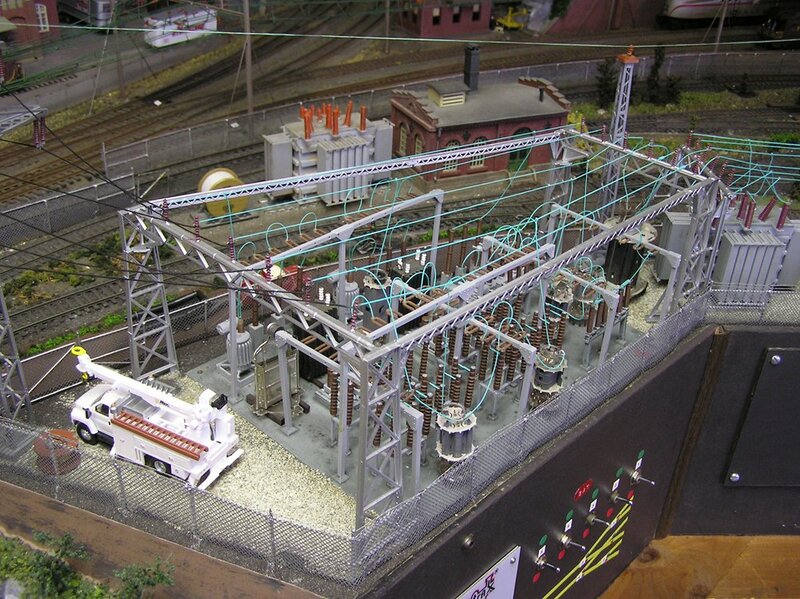 Bill is noted in the area for having developed a reliable method for constructing catenary. 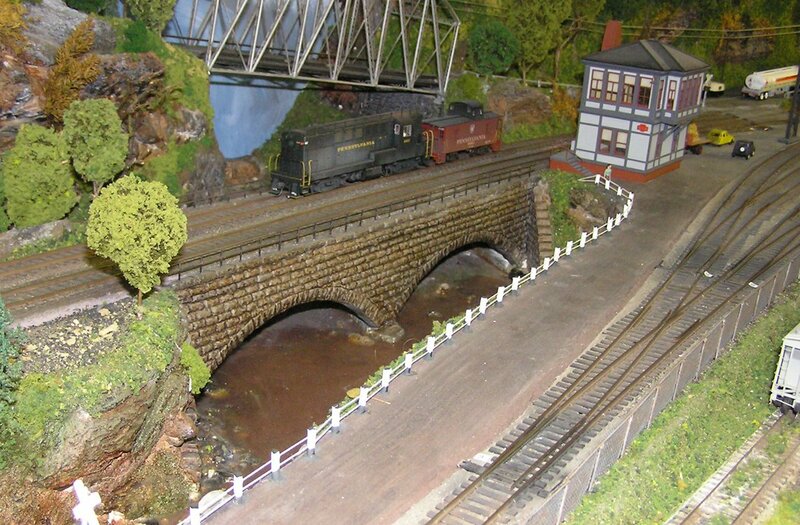 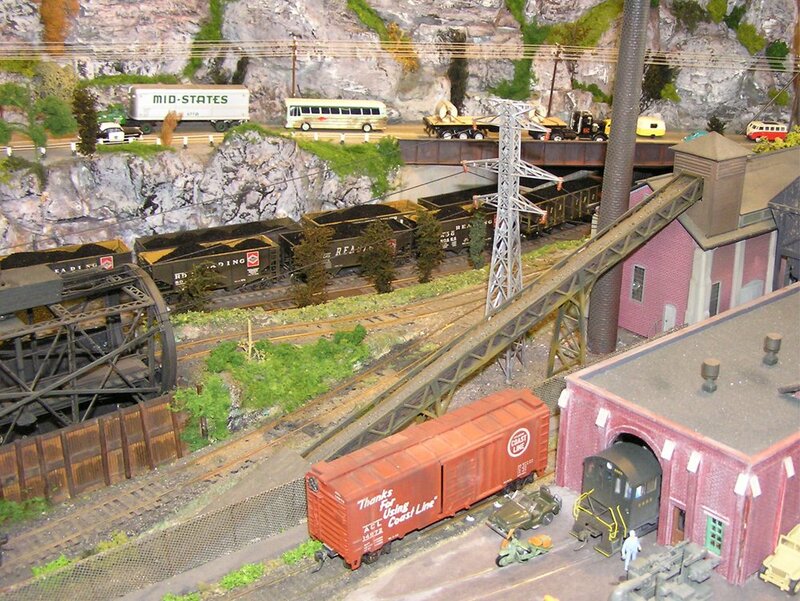 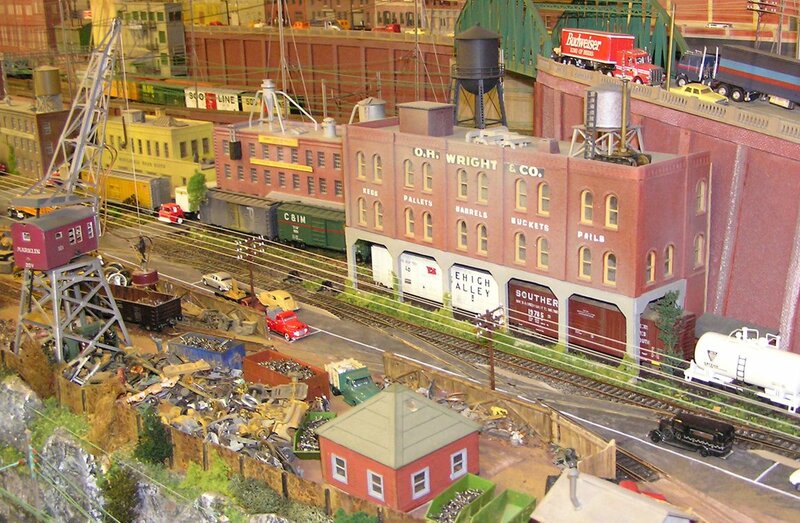 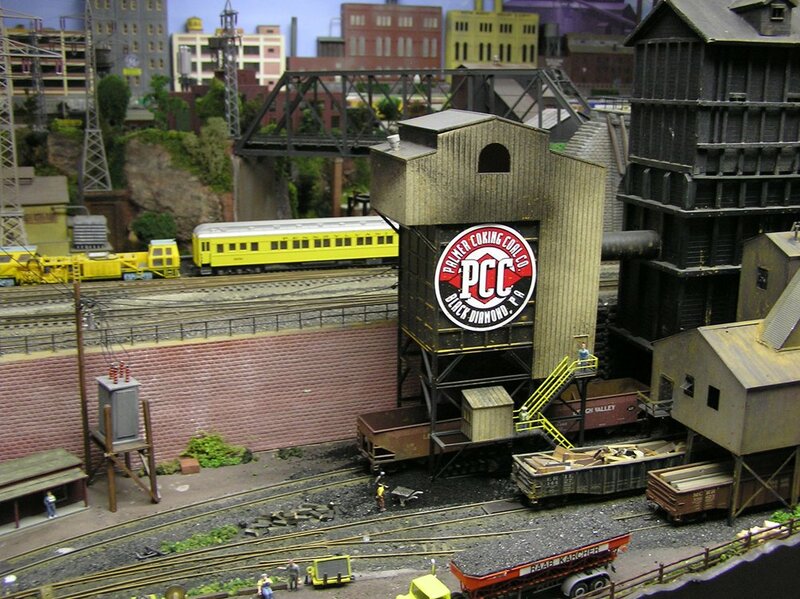 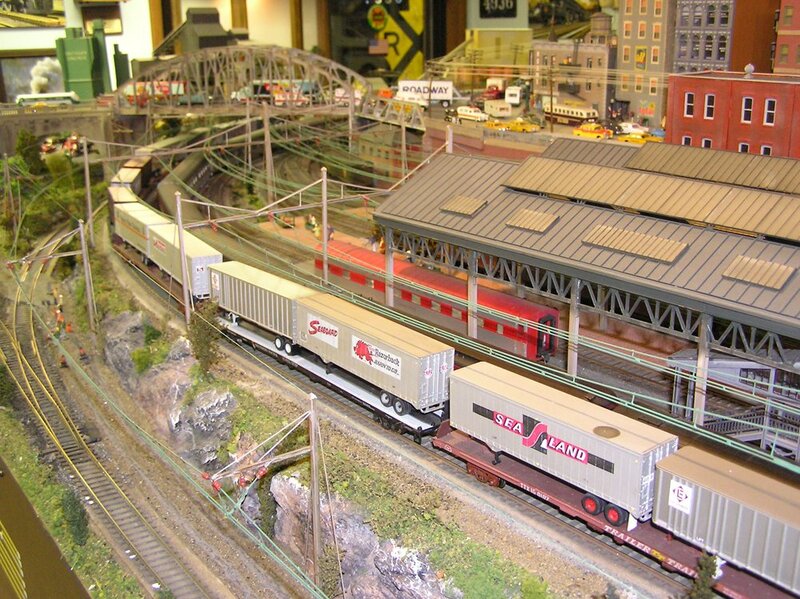 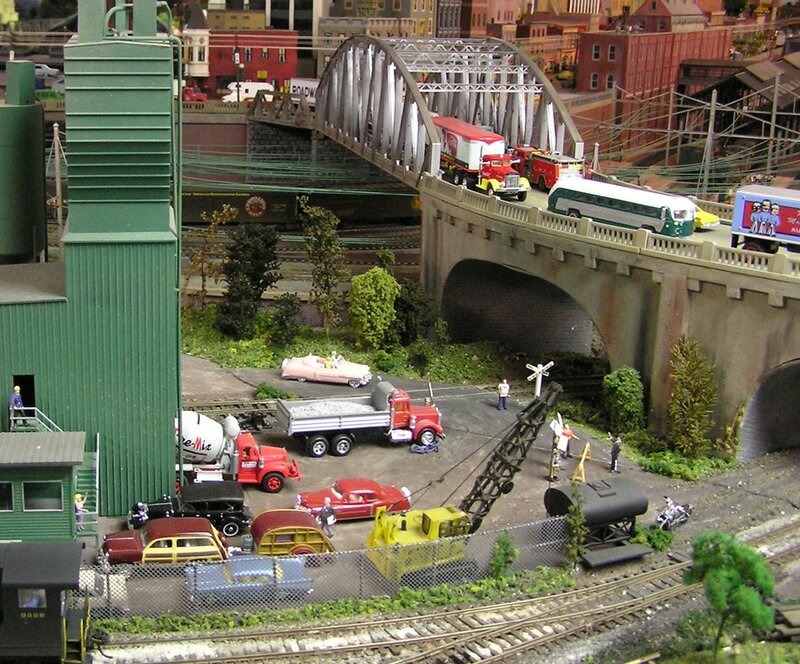 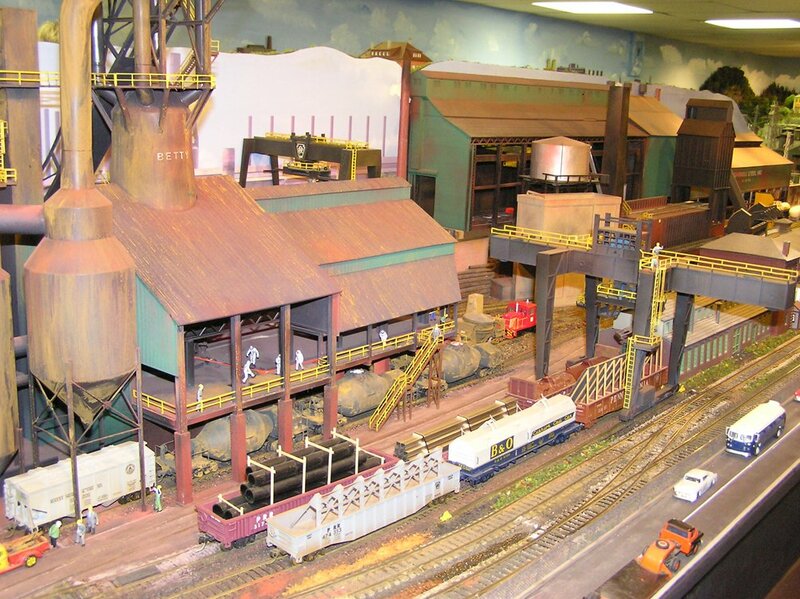 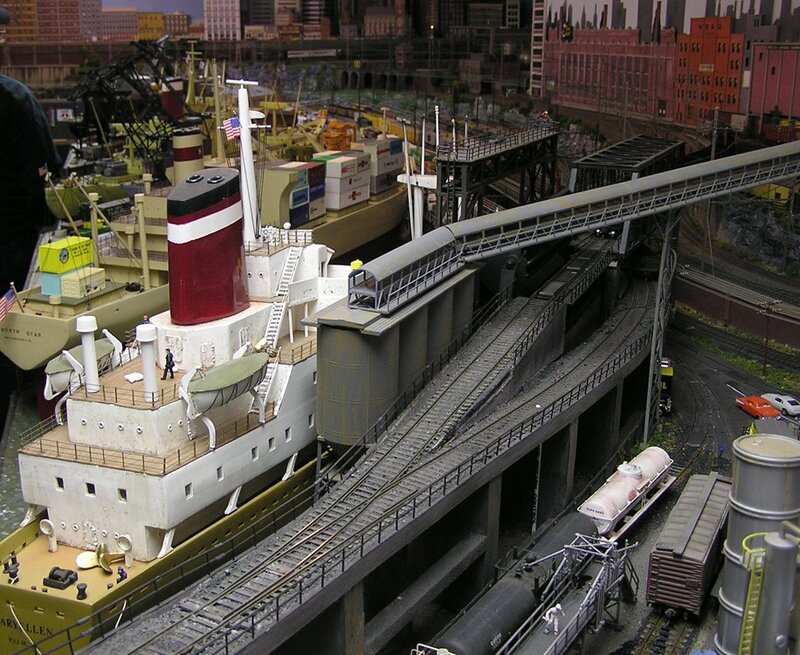 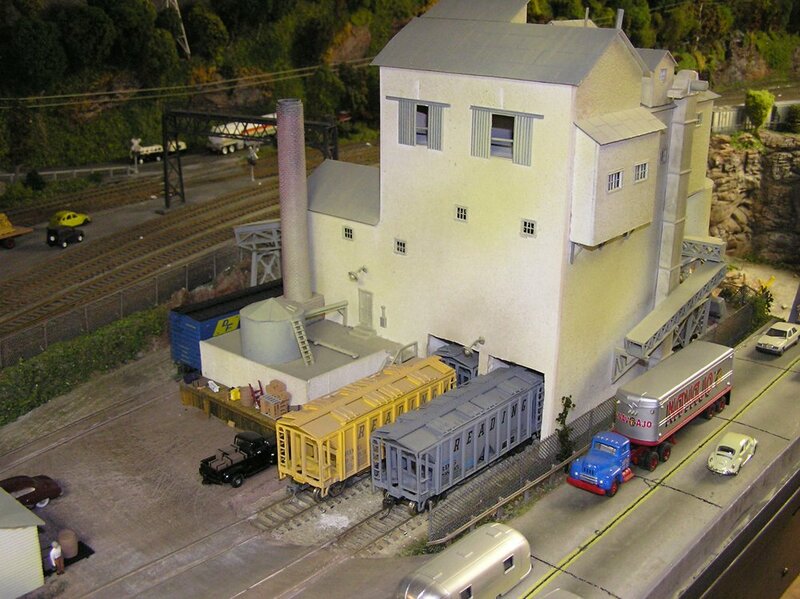 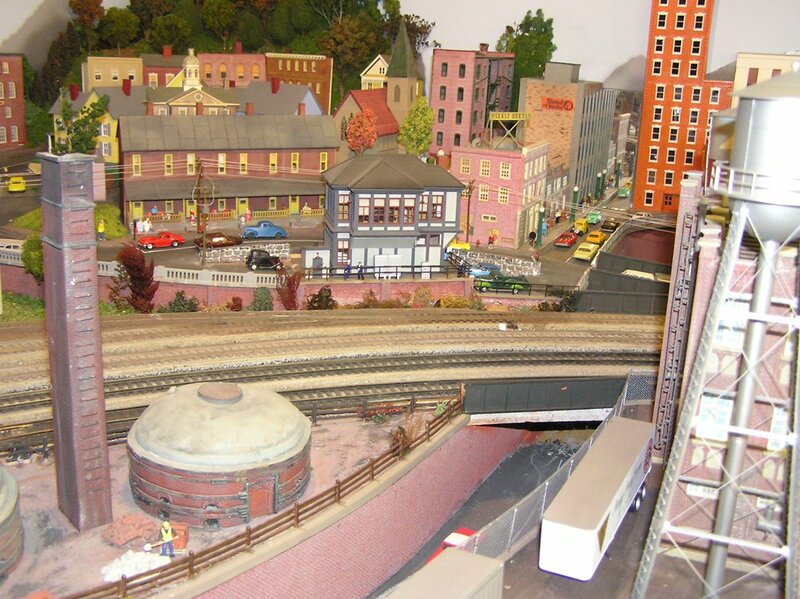 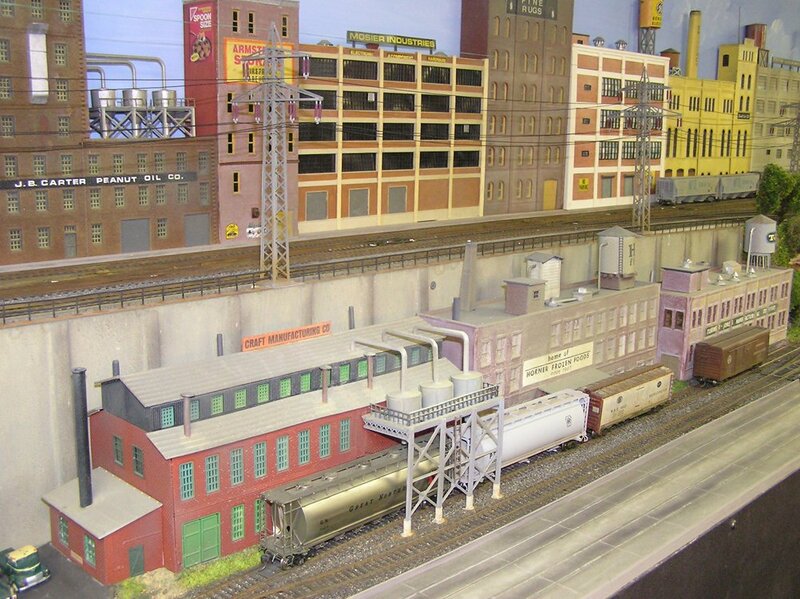 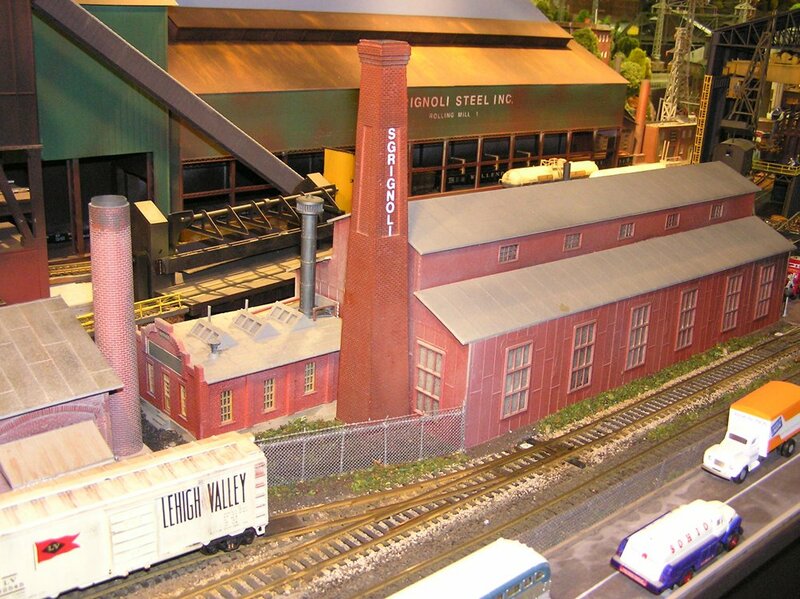 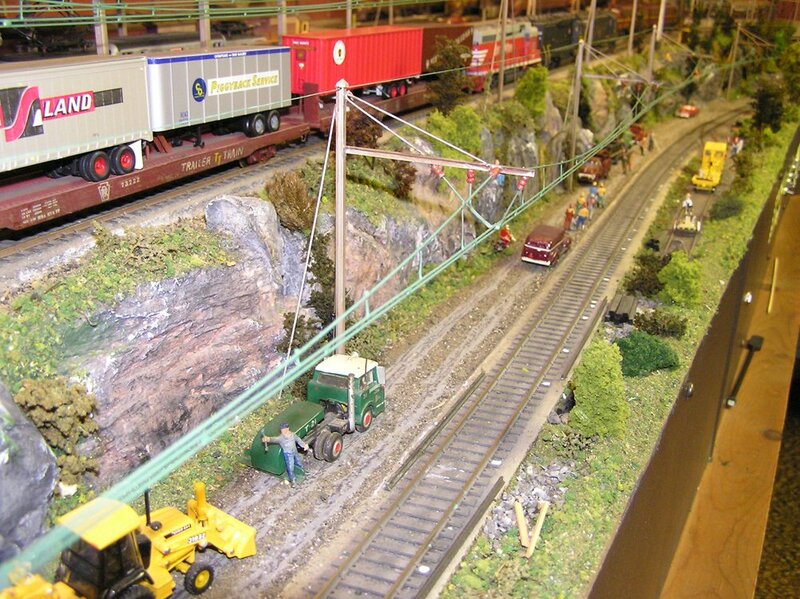 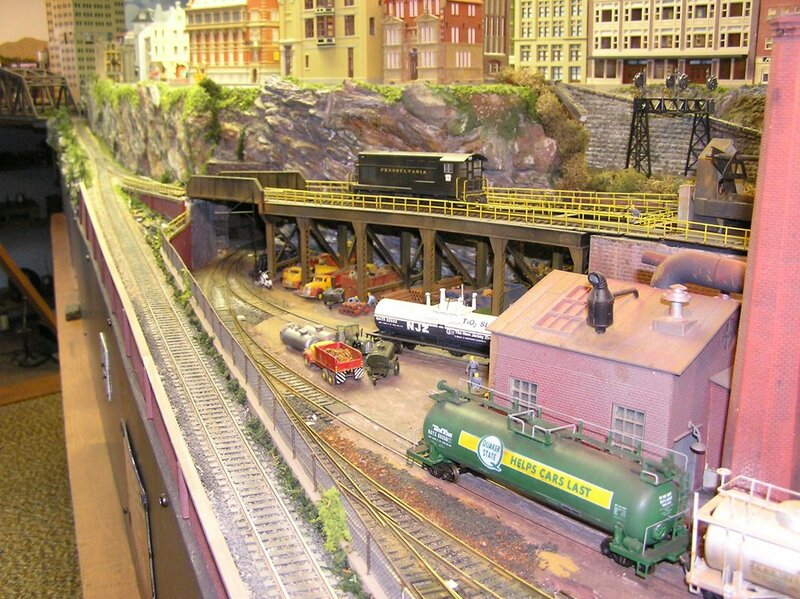 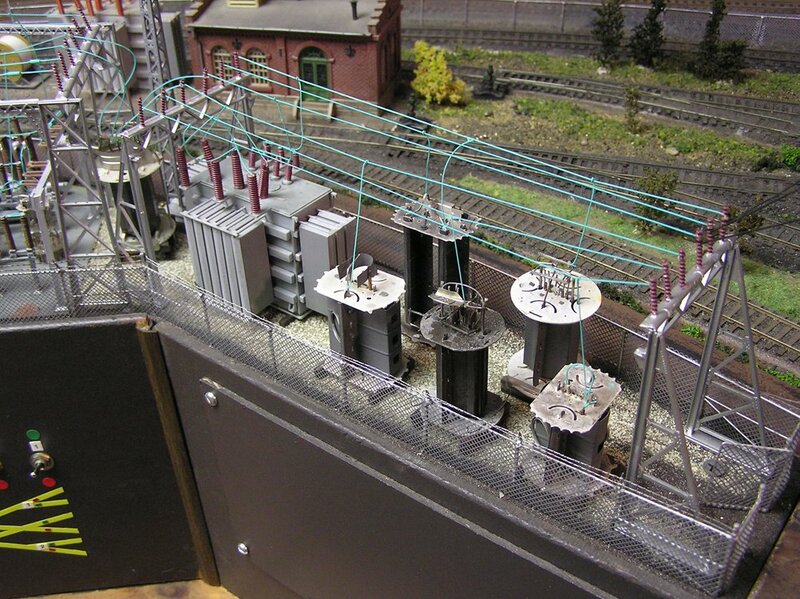 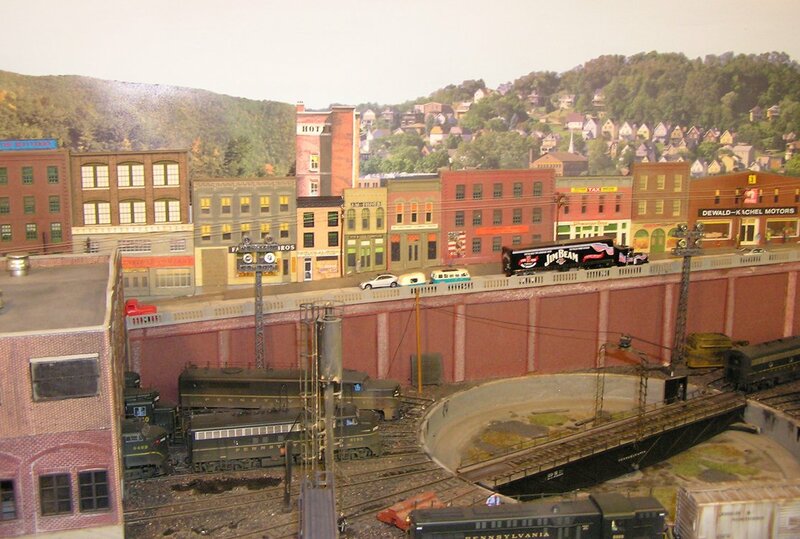 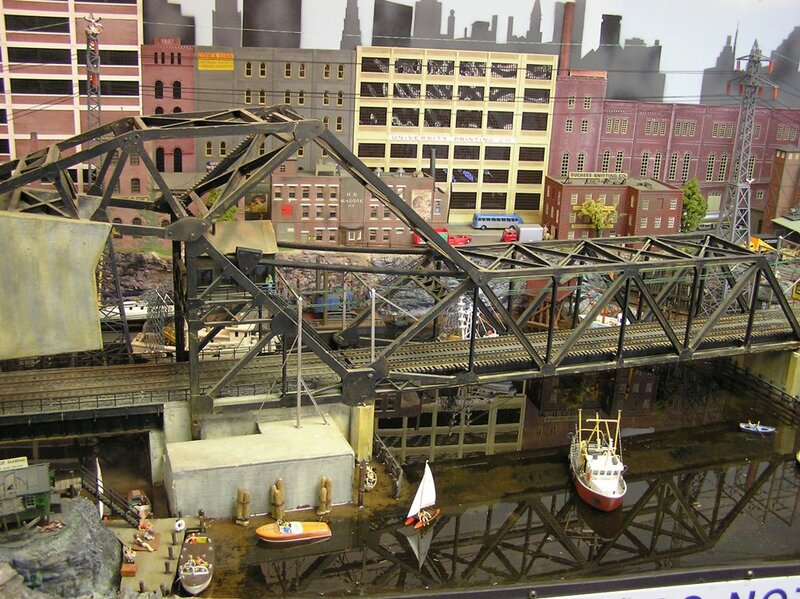 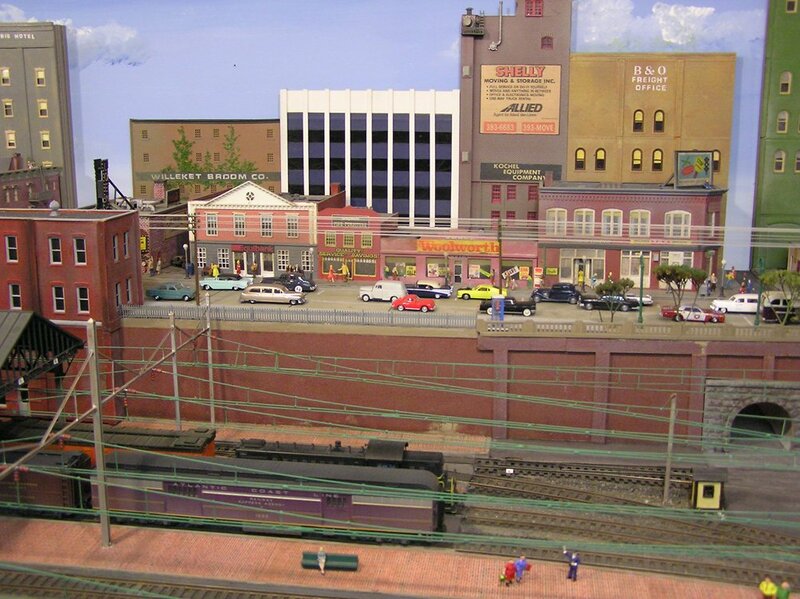 This layout is truly an amazing feat of model railroading engineering and is open to visitors during the November Model Railroad Open House schedule for PA, DE, MD and NJ. 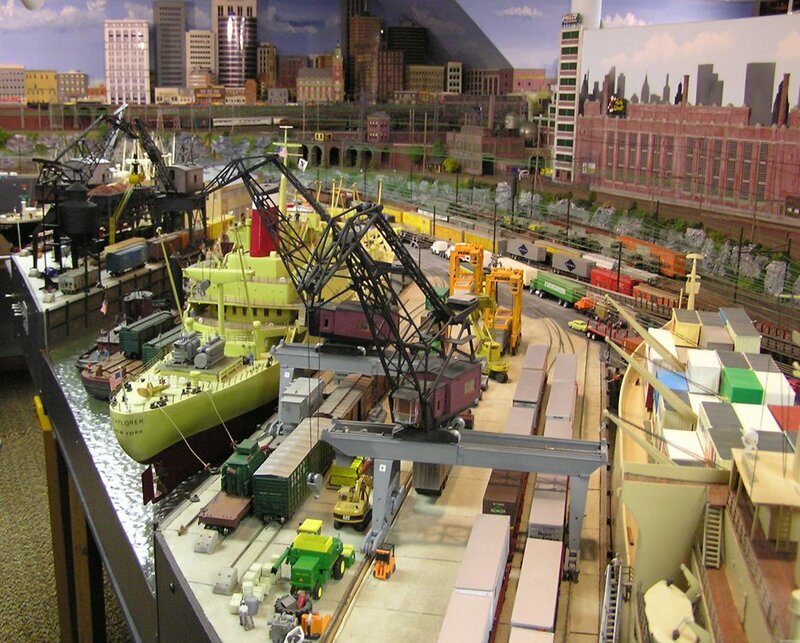 GALLERY NAVIGATION: Click on thumbnail. 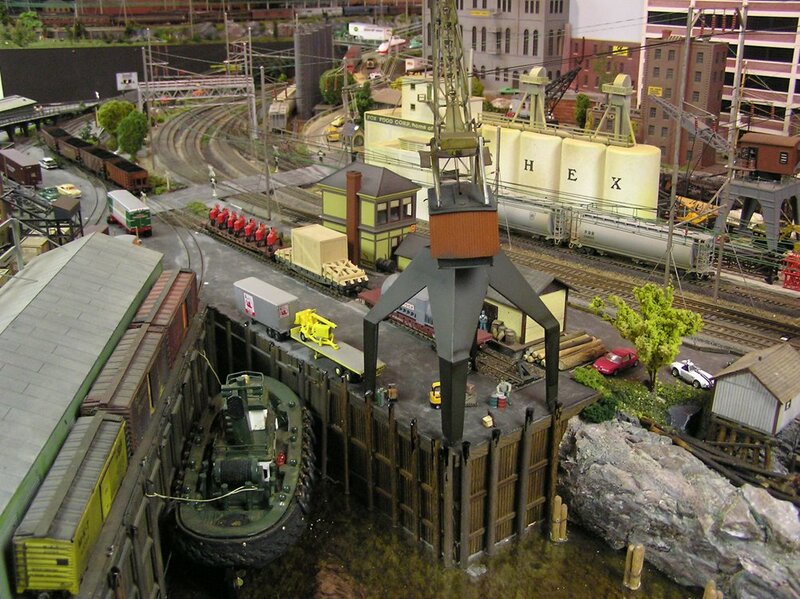 Slideshow controls at bottom of screen. 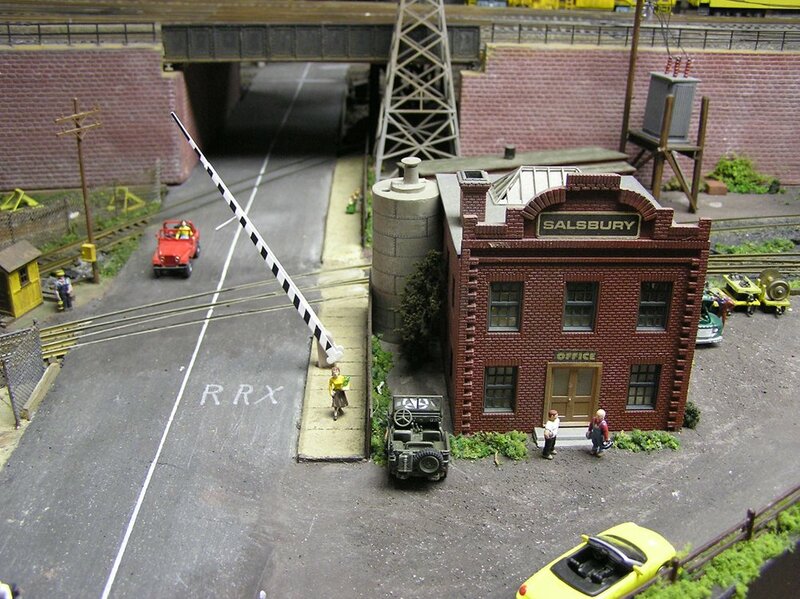 Click on X or photo to exit. 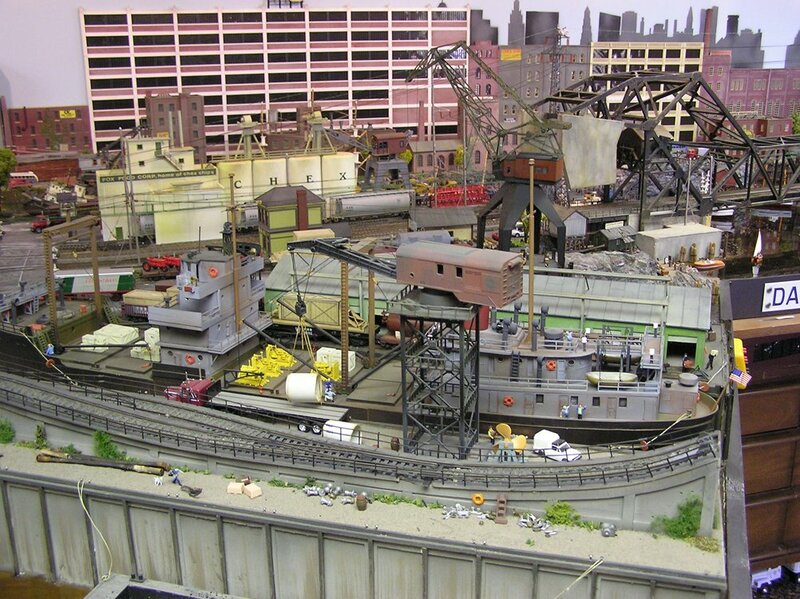 I’m sure I can’t say anything that hasn’t already been said, but flat amazing. 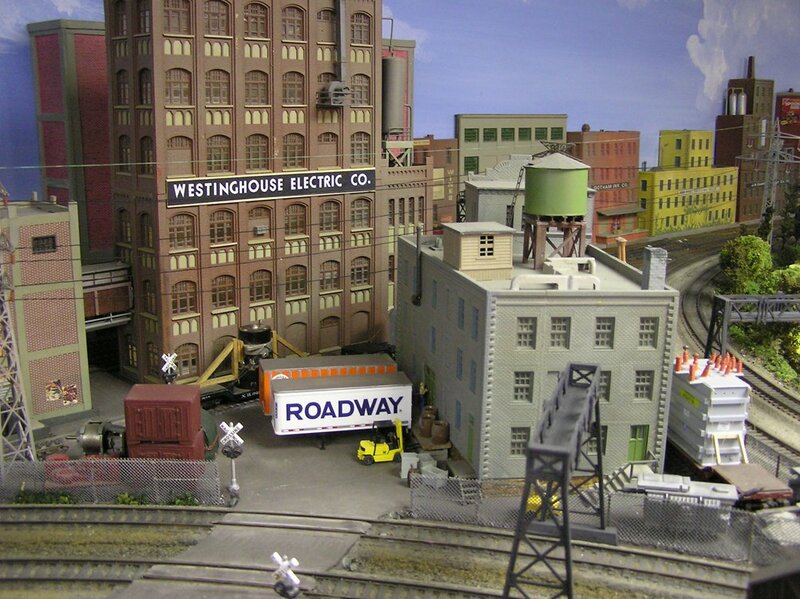 I am from the northwest, and seeing your photos and videos are inspiring. 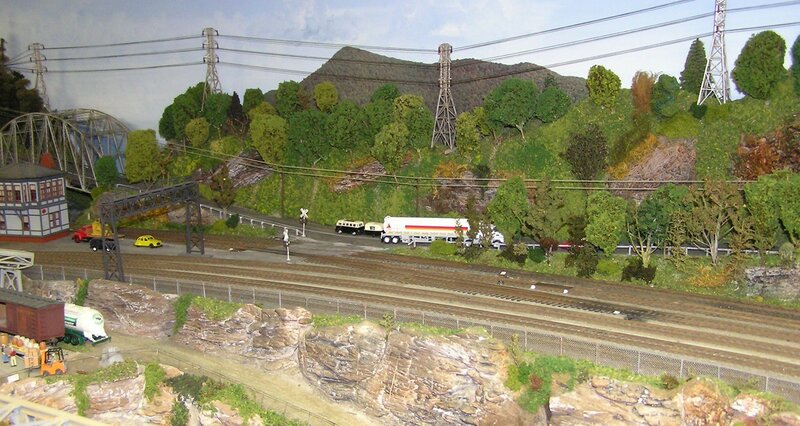 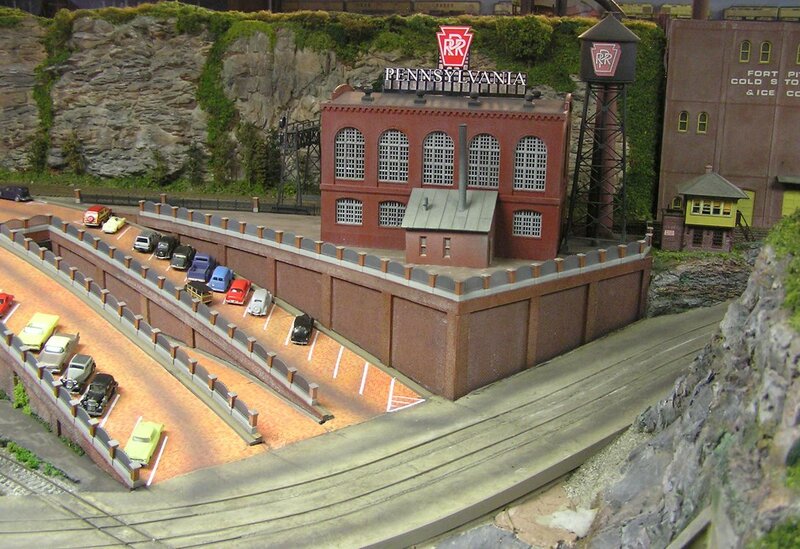 I drove truck long-haul for twenty years and seeing your layout brings back memories of the Pennsylvania area. 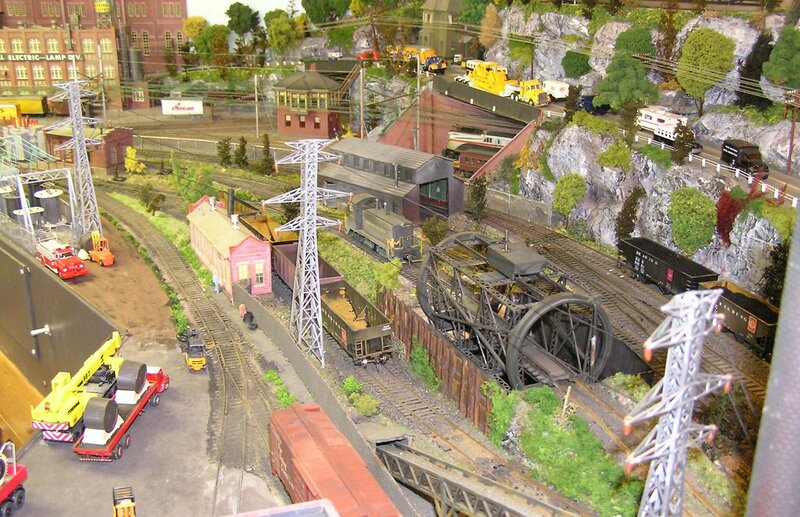 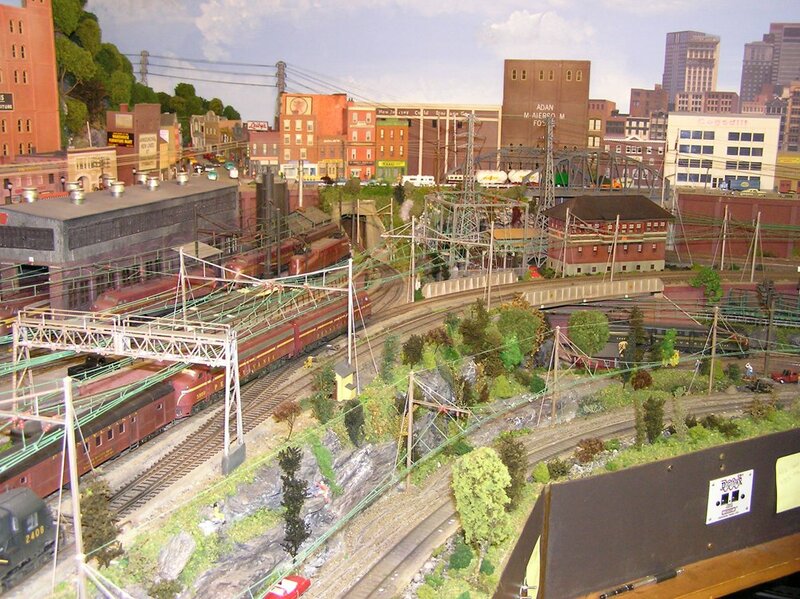 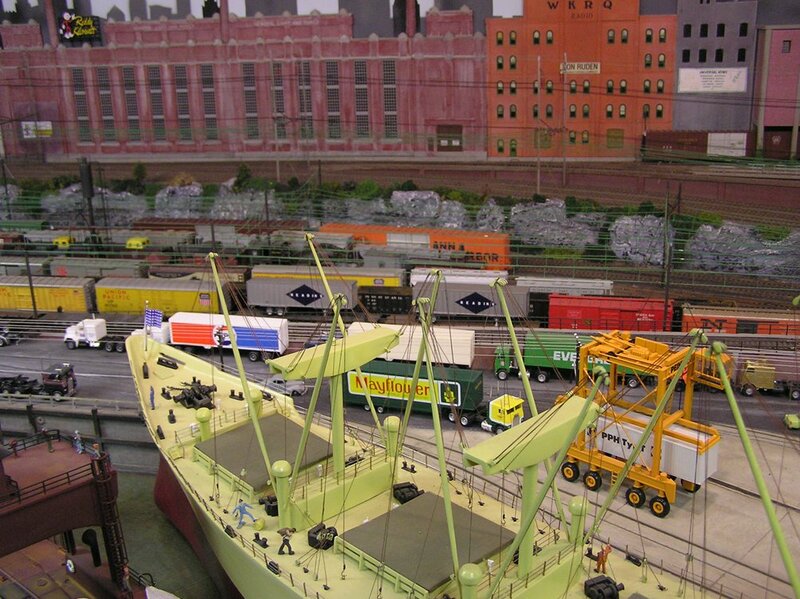 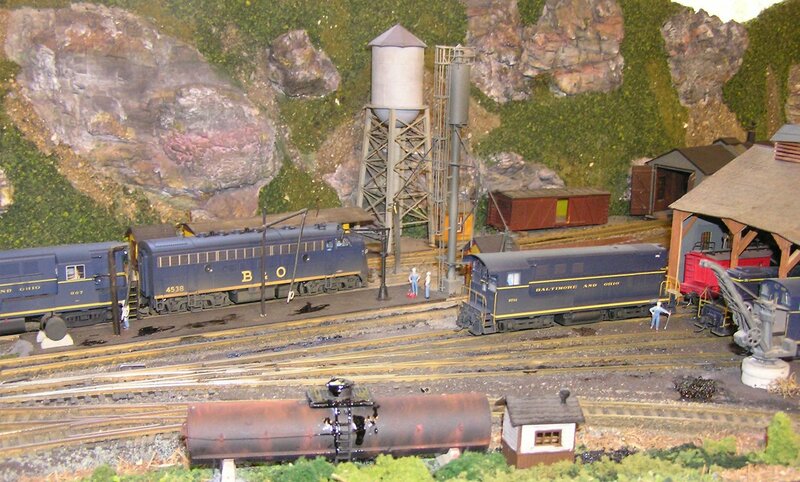 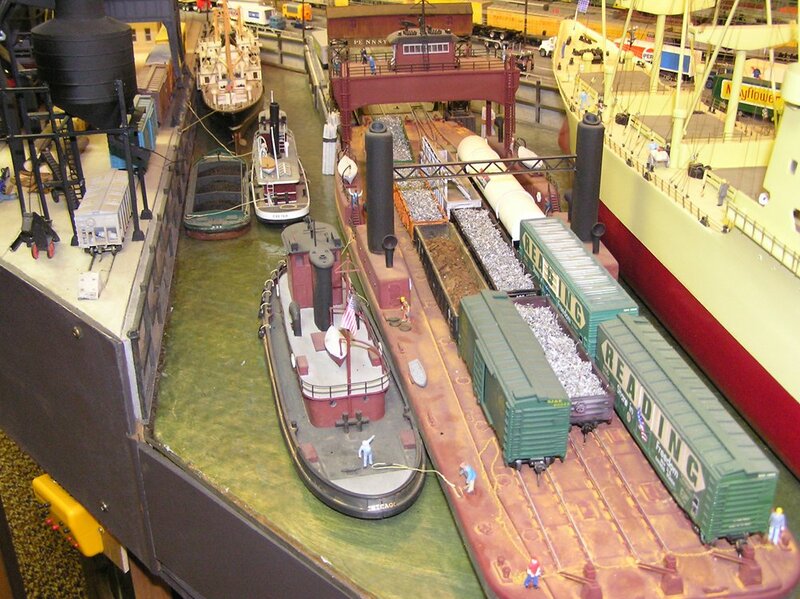 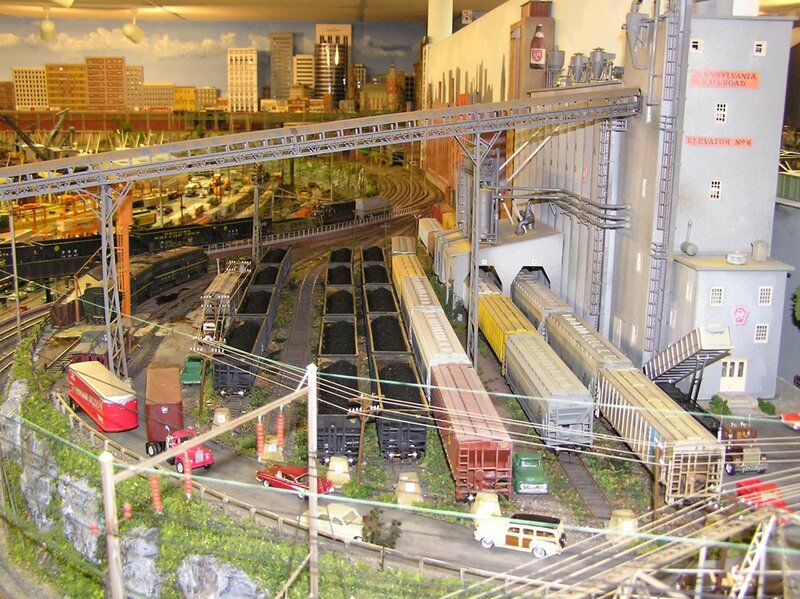 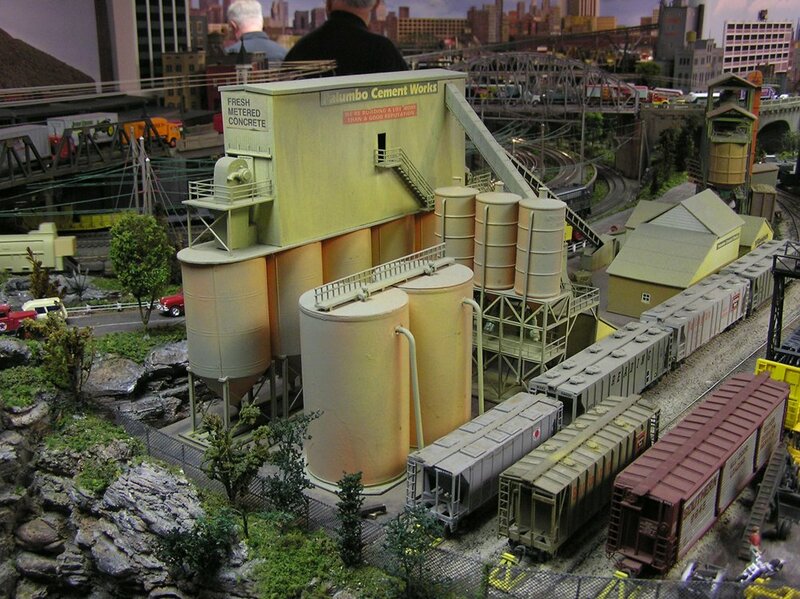 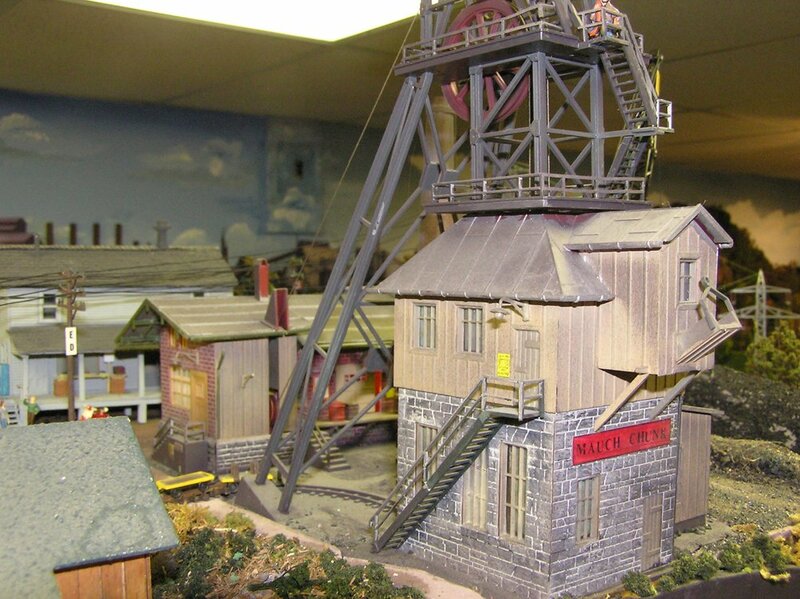 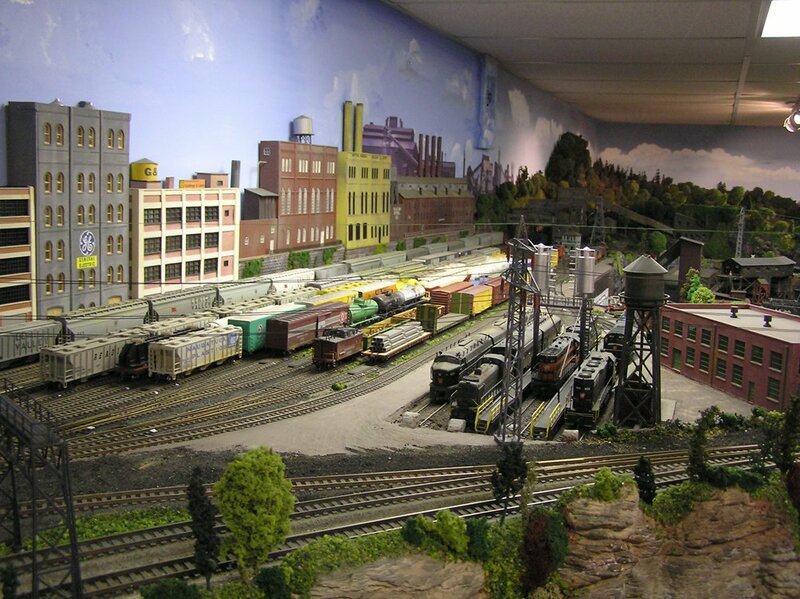 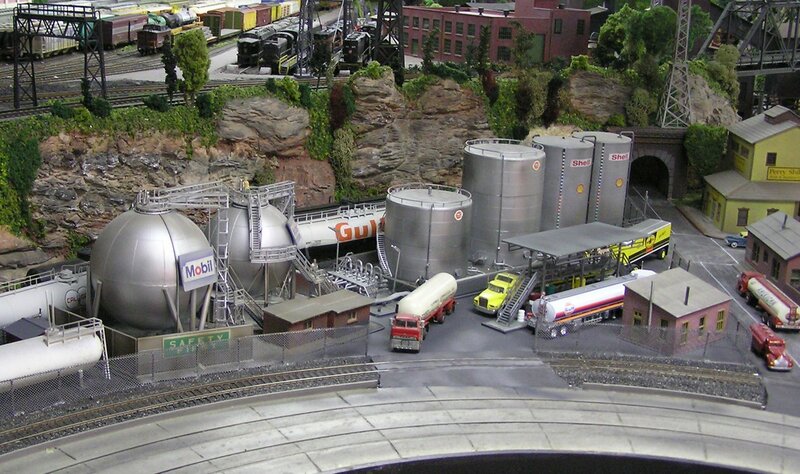 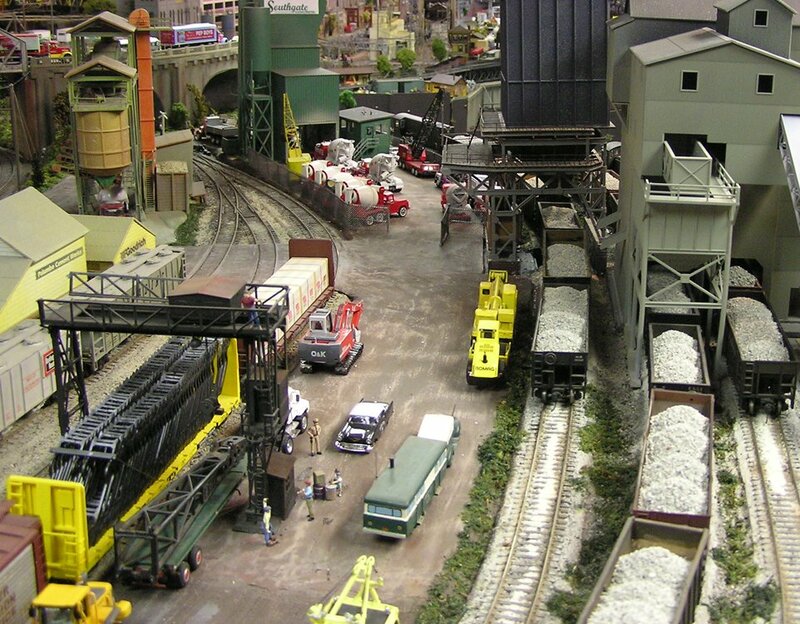 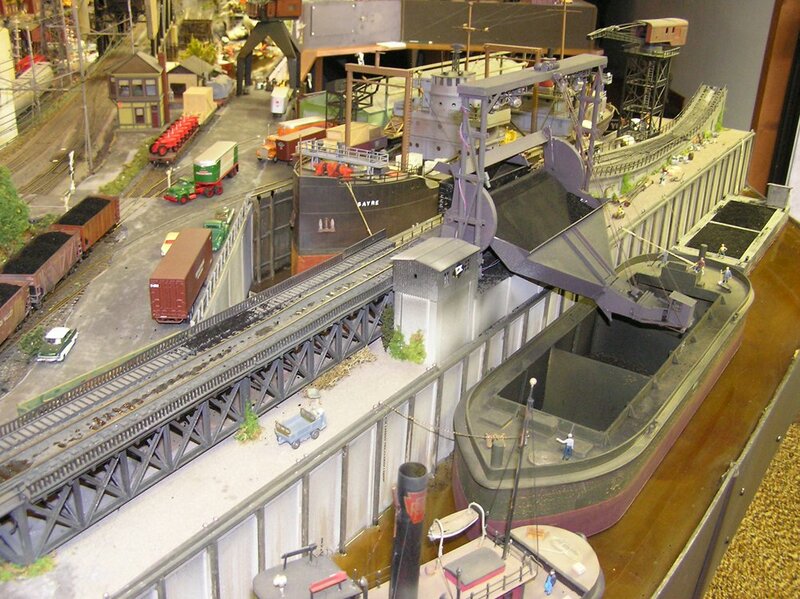 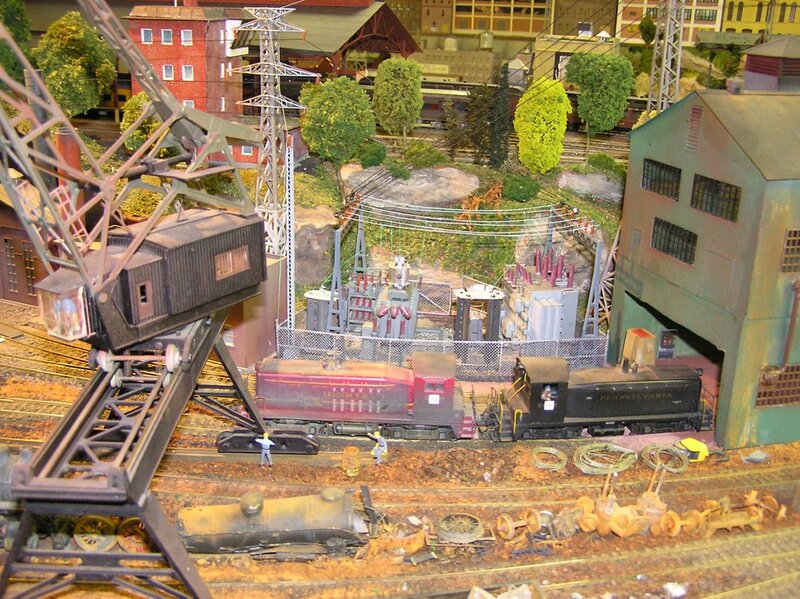 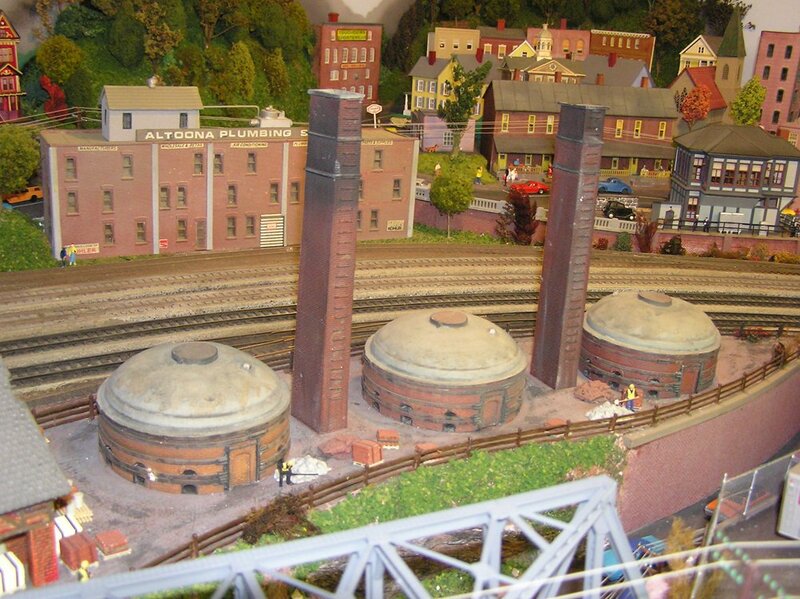 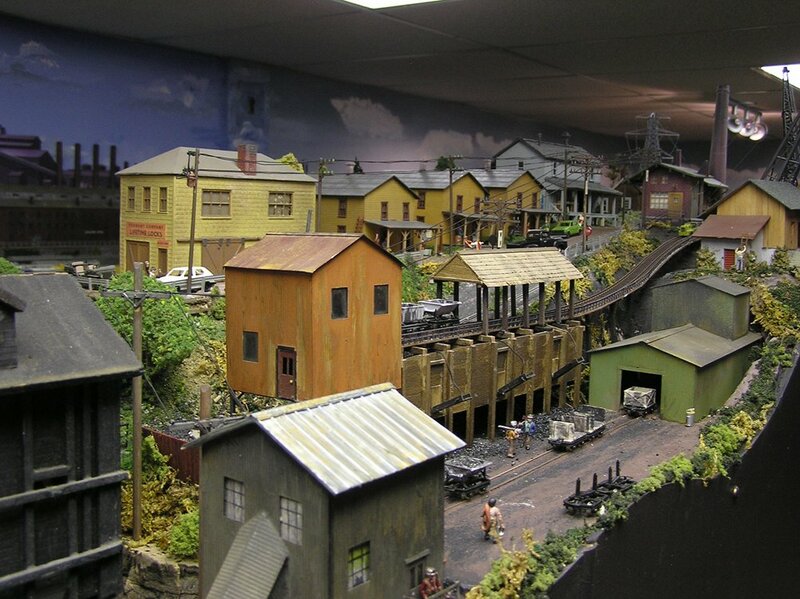 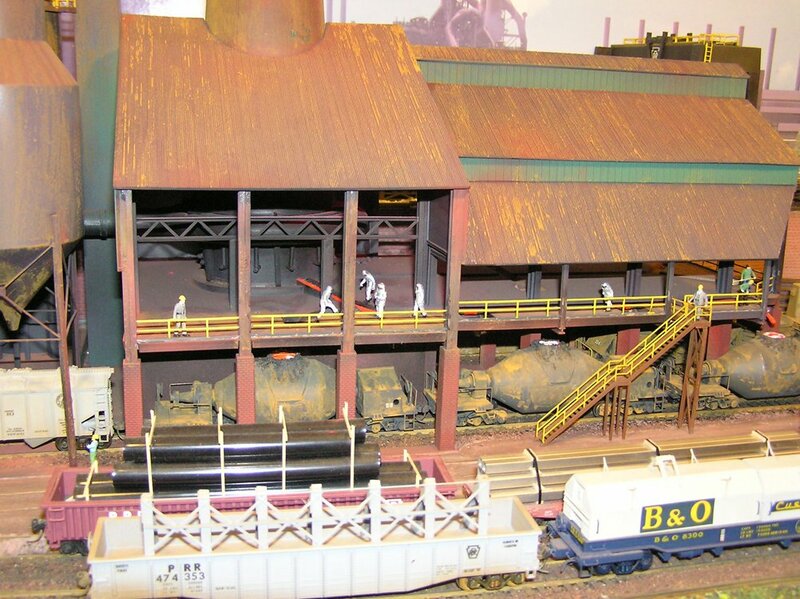 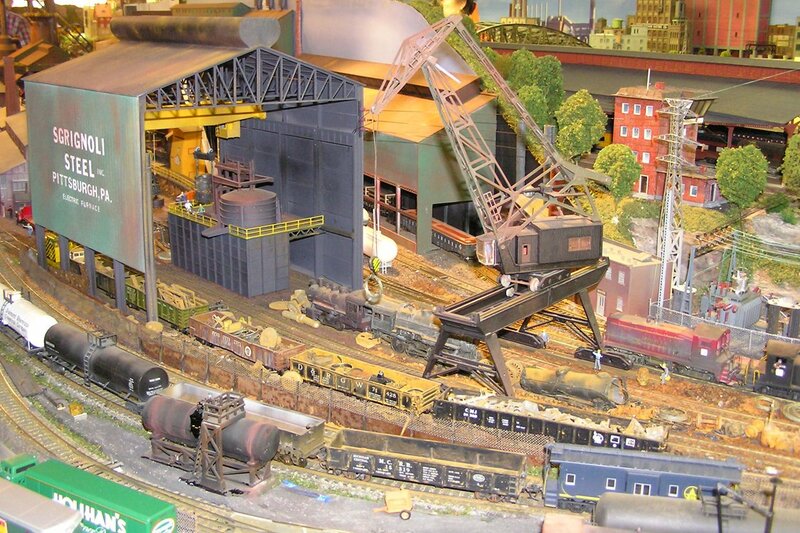 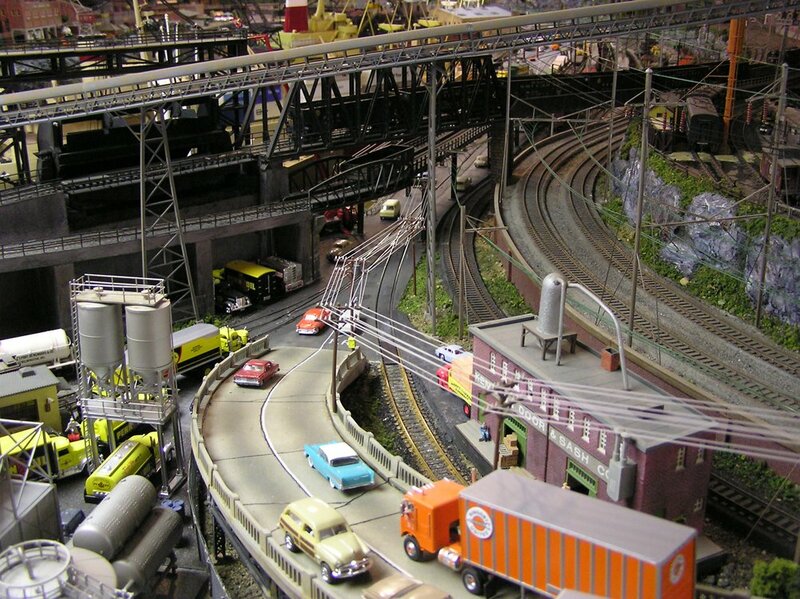 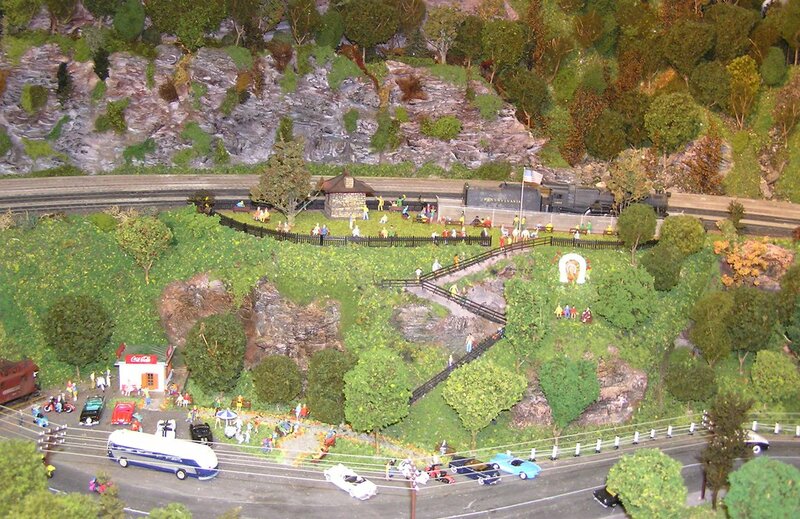 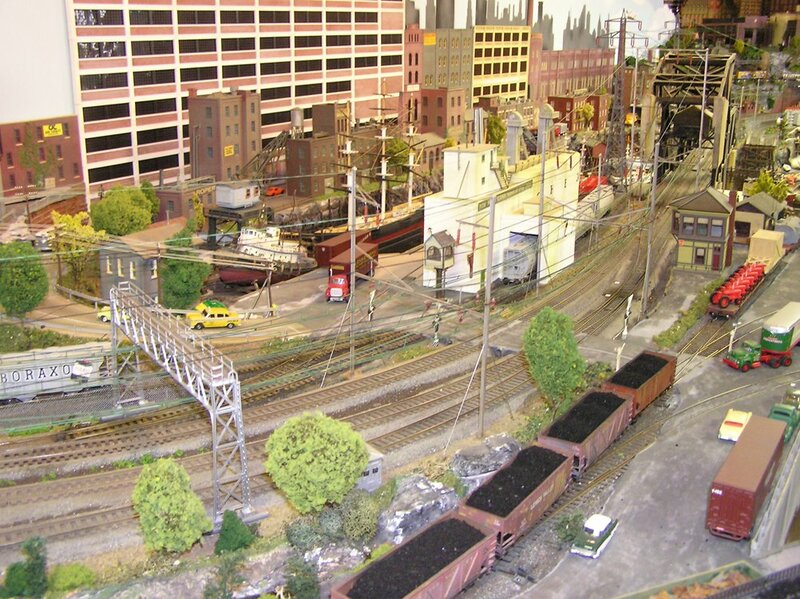 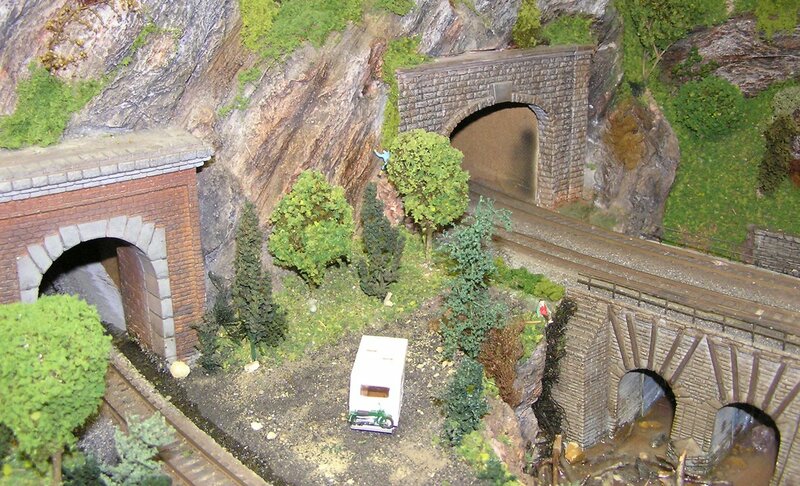 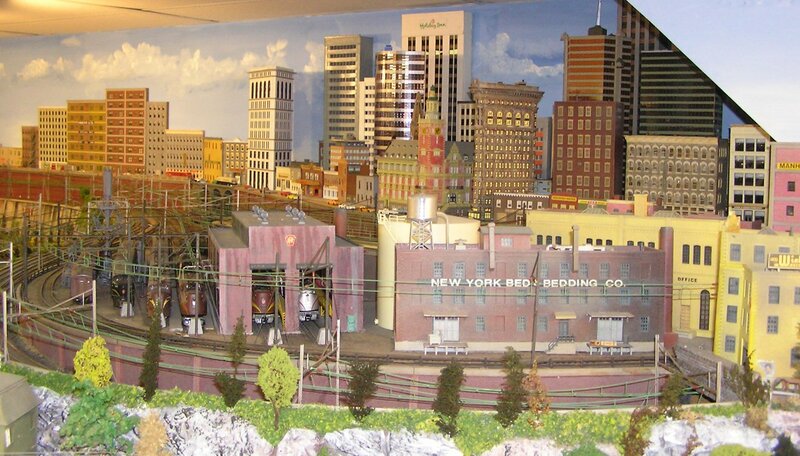 It makes me want to plan a trip east to see the layout in person…. 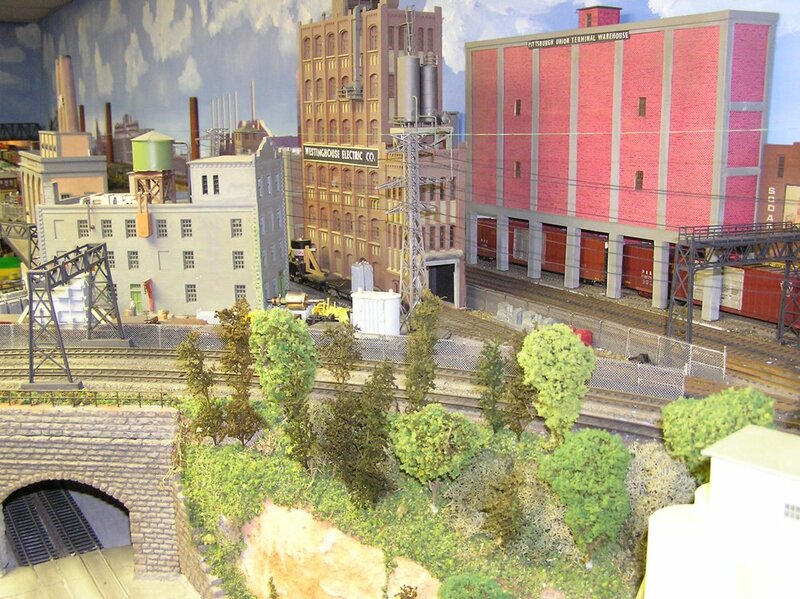 What are your open house dates? 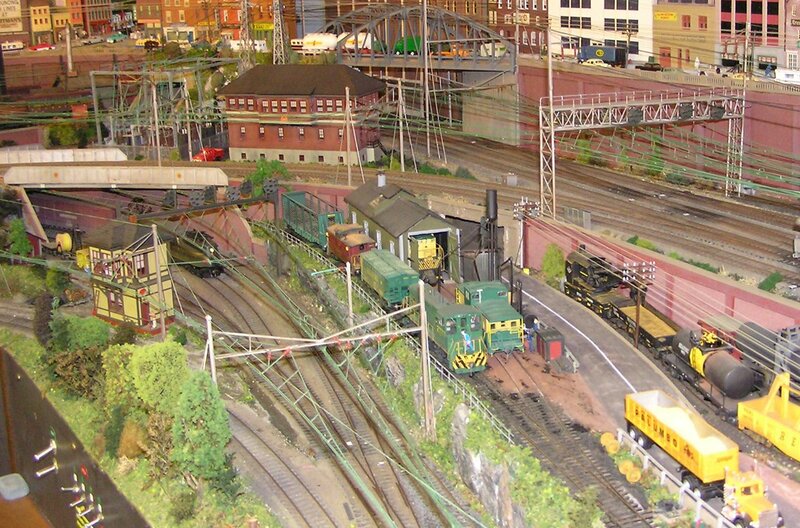 When is the best time to come to be able to spend sufficient time to really see and appreciate the layout? 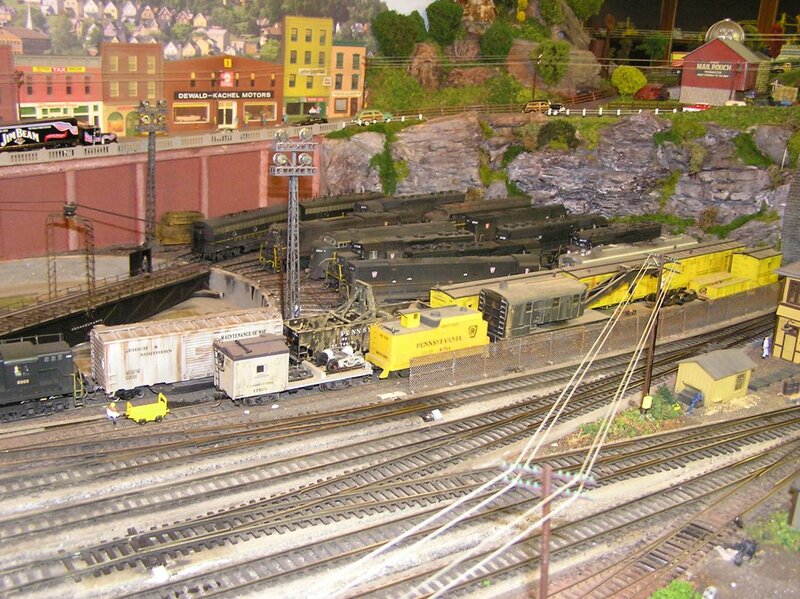 Thank you for sharing the layout through pictures. 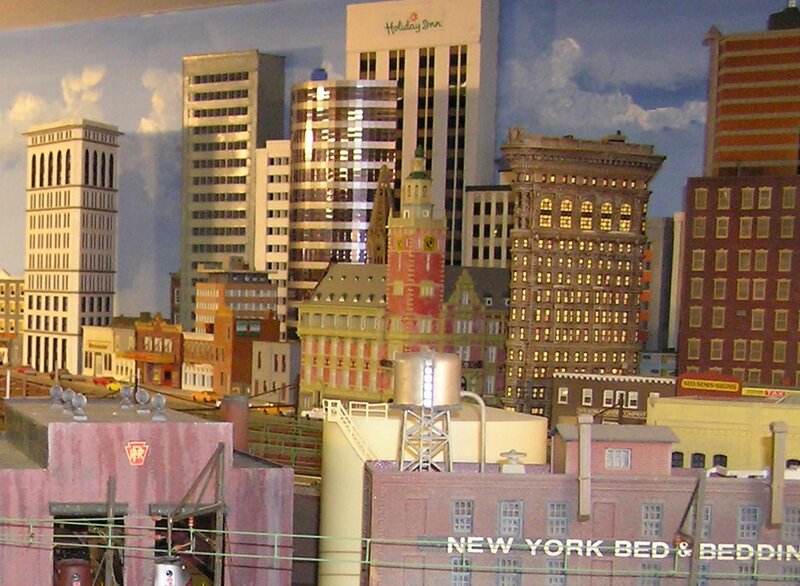 I don’t know how often Bill checks in, so I’ll respond for him and if he has anything to add, he can certainly do so. 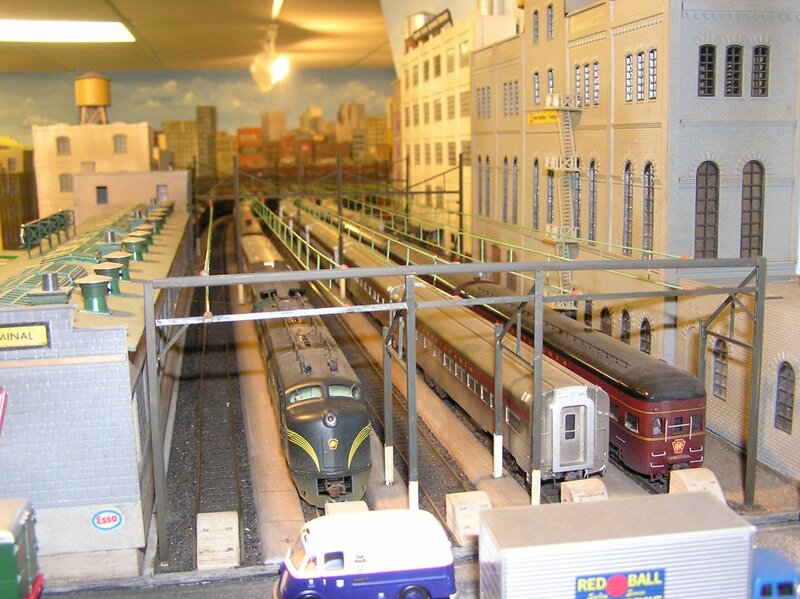 Thanks for your kind comments. 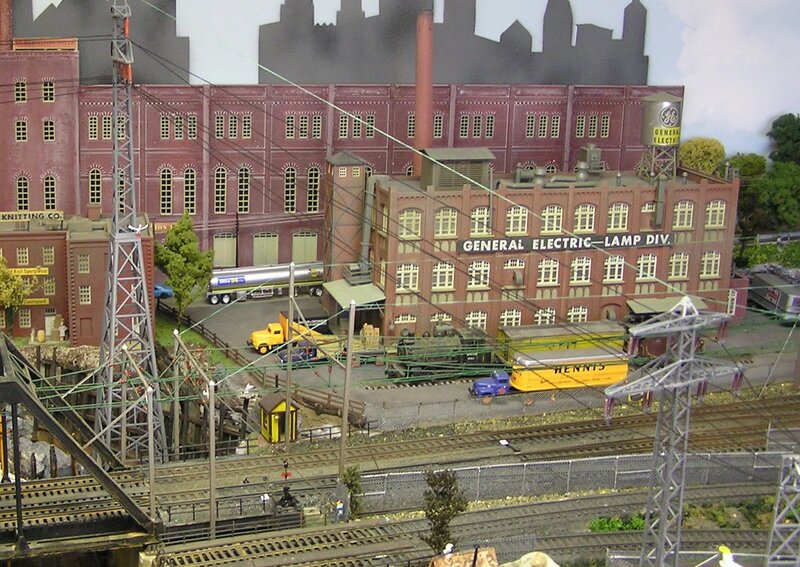 Bill is typically open during the November open house event held in the Eastern PA/NJ/DE/MD area. 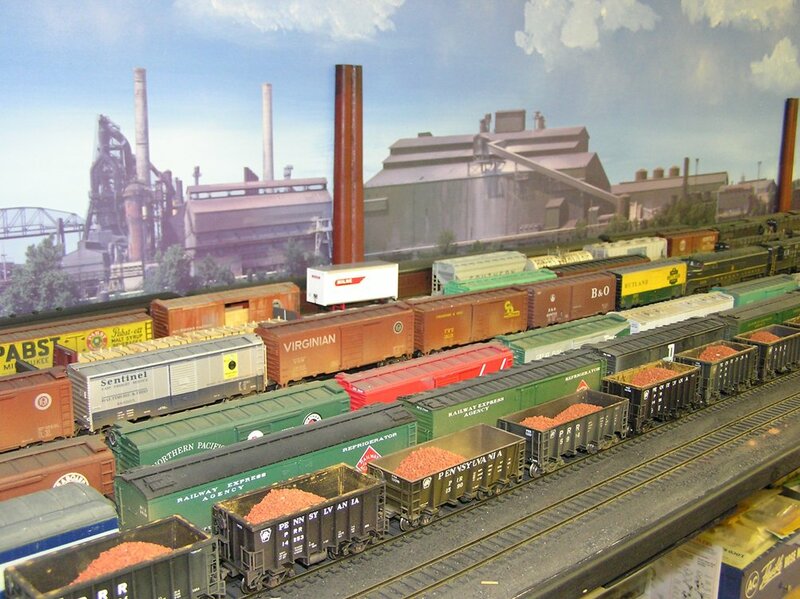 The website for that is modelrailroadopenhouse.com. 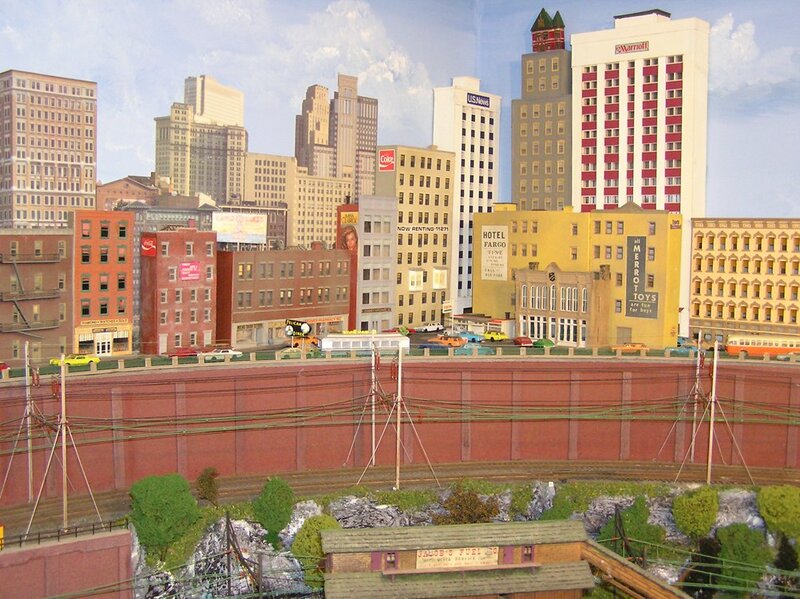 Starting in late September or October you can view and download the schedule. 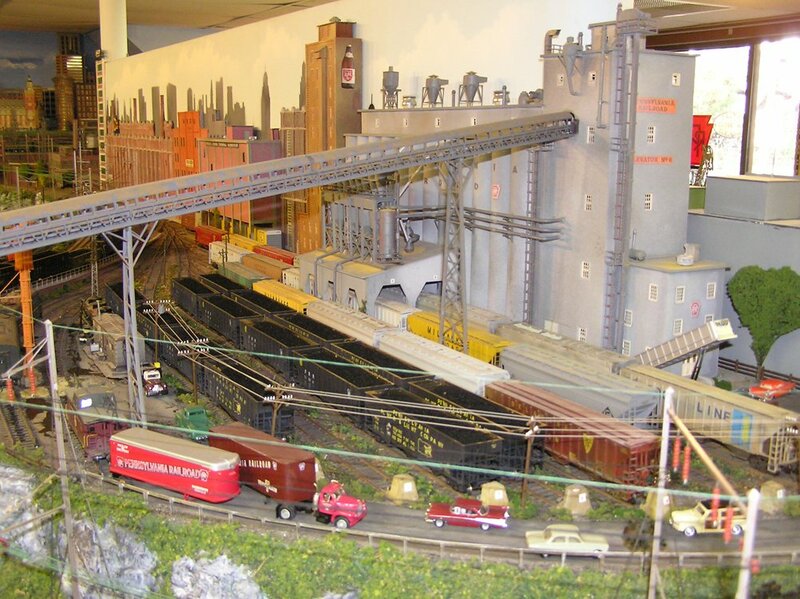 He’s typically open from 11AM-4 or 5PM, so you can come and browse to your heart’s content. 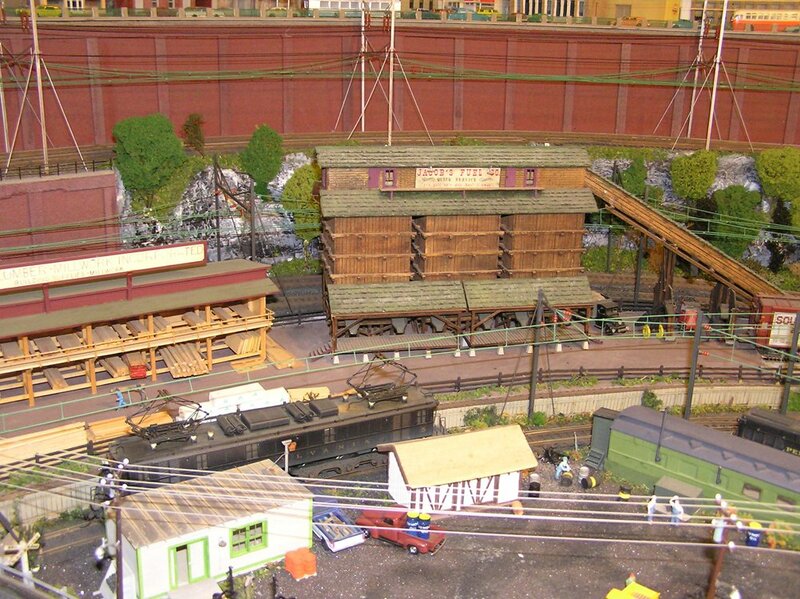 But chances are you’ll probably want to see other layouts that day, as well. 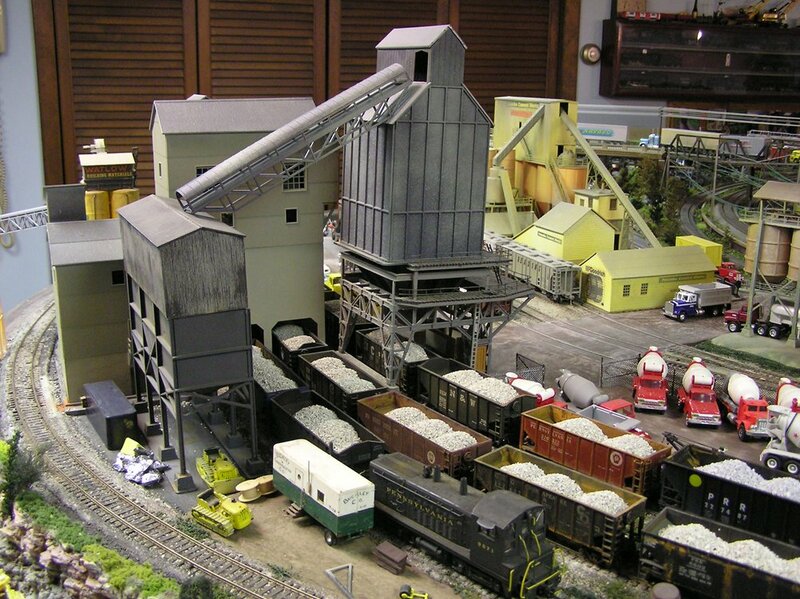 In total there’s well over 150.